1" Thermoplastic Rubber Hose w/External Polypropylene Wearstrip | U.S. Plastic Corp.
Thermoplastic rubber with an external polypropylene wearstrip. 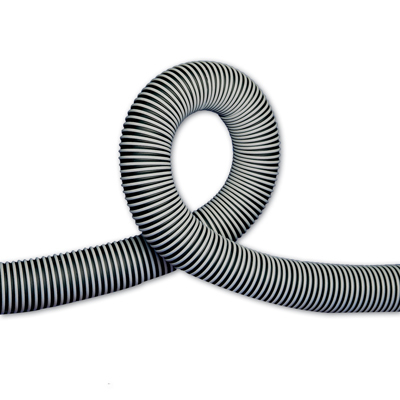 External helix allows for rough use in applications where the hose will be dragged. Ideal for dust collection, fume exhaust and conduit applications.